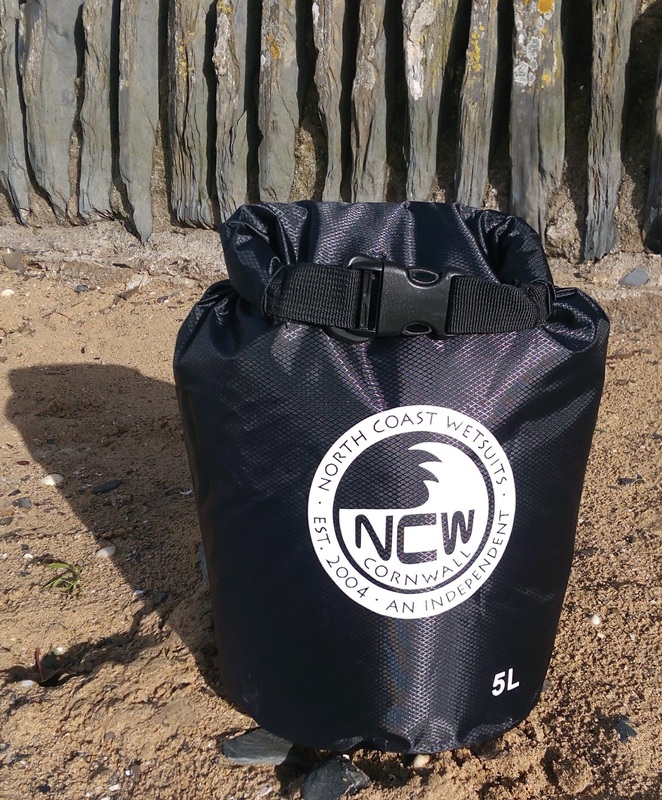 Keep your kit dry with this high quality 100% waterproof dry bag. 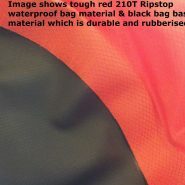 SUPER STRONG, DURABLE AND TOUGH MADE WITH 210T RIPSTOP NYLON – lightweight and with heat-taped seams. Also available in red with a black logo. 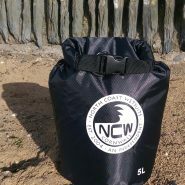 Simple roll top & click shut top closure dry bag with detachable adjustable shoulder strap. Packs down very small & makes a great rucksack dry liner too. Small size 5L capacity – holds plenty of kit for your trips out. 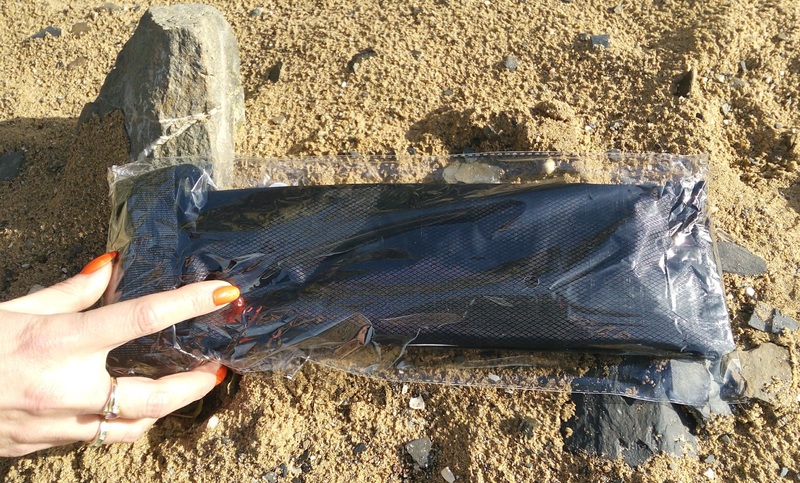 Ideal for a camera, phones, beach items and so on. This is a great size – height : 9″ (22cm) and diameter 7.5″ (19cm). 100% waterproof with roll top and clip fastener system. Comes with removable adjustable shoulder strap. Very Durable, wipe clean and easy to store away. Tough rubberised base for extra durability. 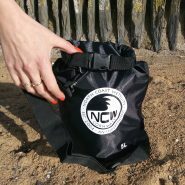 Lightweight & when not in use packs away very small making it convenient to carry (15″/38cm by 4″/10cm folded almost flat). 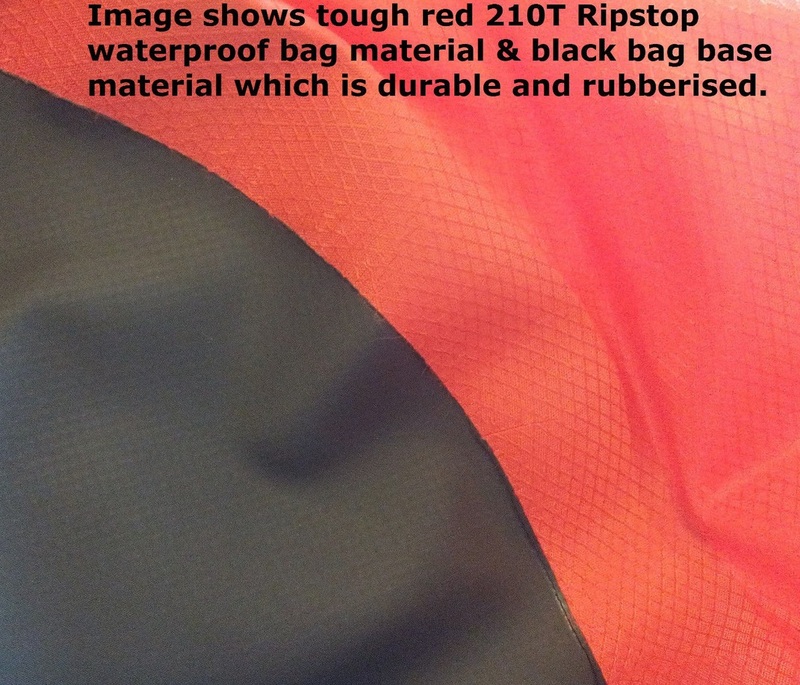 Suitable for hiking, camping, kayaking, canyoning, caving and many other outdoor activities. You can hike for miles in the rain and keep your kit dry. 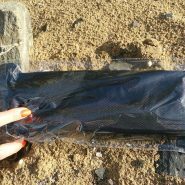 Drop your bag in the water and as long as you have rolled in plenty of air it will float, these bags are that waterproof! Made with best quality materials to make the bag HIGHLY durable.